This was my first introduction into Edgar Cayce when I barely knew anything about him. I read it about 8 years ago whilst still studying and remember finishing it within a number of days because of how intrigued I was all the way through the book. 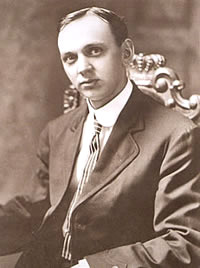 I didn’t think Edgar Cayce was anything particularly special in terms of spirituality, at the time – I kind of just thought he was some random guy who could channel and I was more interested in people who produced their work directly from their minds through rigorous thought or meditation. This book made me realise what an incredible mystery EC was and how special he is in modern spiritual culture and times – He truly is an anomaly which made me question so much of what I thought about spirituality. If you don’t know much about EC and the story behind his works then this book is a great place to start.